If you would like to get in touch with us for getting involved, please write us an email: [masked]. We hope to see you there for another night of great talks, a few drinks and some networking! A regular event for Data Enthusiasts, AI geeks, Data Natives, futurologists, decision makers, business professionals and techies. We'll host interesting talks from industry experts, a focus on both business and technical aspects of big data, and plenty of time for beer and networking! The event is hosted and managed by Dataconomy Media GmbH. 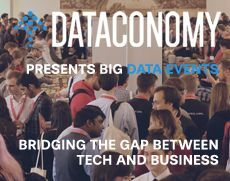 Please get in touch with events@dataconomy.com if you would like to get involved! Are you organizing Big Data, Athens v 3.0? Are you an organizer of Big Data, Athens v 3.0 ?